Daily Illuminator: Crowdfunded Space Rescue! May 22, 2014: Crowdfunded Space Rescue! 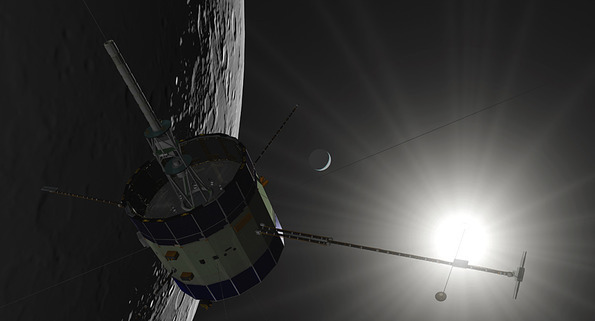 The International Cometary Explorer probe was the first spacecraft to fly through a comet's tail. It has been out of commission for a while because NASA ended its funding. It's still up there, though. It seems to be functional, and it's about to orbit close enough to Earth that it could receive new commands . . . except this probe dates back to the 1970s and nobody expected it to be around this long. NASA no longer has the equipment to talk to it! Enter a team of private space fans, using the appropriately-named crowdfunding platform RocketHub. They started this crowdfunding project (which ends tomorrow!) to get the ICE back on mission, chasing comets. We backed them because we think space exploration is pretty cool, and important if we, as a species, are going to continue to learn more about the universe around us. In the time between our decision to back this project and now, they went from "we might not make it" to full funding. Woot! But they're still $12,000 short of a stretch goal that will let them do better science by renting time on NASA's Deep Space Network. If you also think space exploration is cool, shoot them some support!